A few months back I came across the channel Vahchef on Youtube and from that day I have been regularly watching all his cookery videos and eagerly wait for new ones.He has videos on the making of many restaurant favourites and also few traditional Andhra dishes. I have tried some of his recipes,keeping his valuable tips in mind and the results were much better than what I had expected. I have also tried several other recipes from his site such as naan,batura,aloo gobi,tomato dal,lamb fry and tandoori chicken and they were all so delicious.Do check his site vahrehvah if you haven't already.I certainly did learn and am still learning lots from him.I thank Chef Sanjay Thumma immensely for being so generous and sharing his knowldege with the entire world. Today I remembered the delicious Chettinad Chicken, which I used to have quite often at Karaikudi restaurant in Chennai. Just the thought of it was mouthwatering. So I decided to make it no matter what. 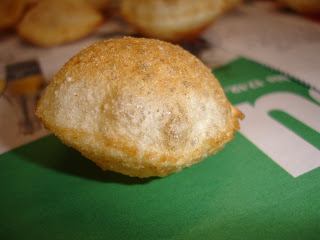 I tried searching on the web to get recipes and tips as to how to make it. Then for some reason I was bored. I wanted someone to show me so that I can make exact replica of that. Also that way I know my progress and can achieve the end result as shown. Thats when I thought of the greatest site Youtube. There are about 214 various Indian Dishes presented in his youtube channel. The best thing about this is he not only showcases the famous dishes like Chicken Tikka or Tandoori Chicken, but also several regional and quite unknown yummy ones such as coriander chicken, methi chicken, Grandma's curry chicken and last but not least my favorite Chettinad chicken. For all veggies there are many dishes too. I've introduced his videos to my wife and she loves it. 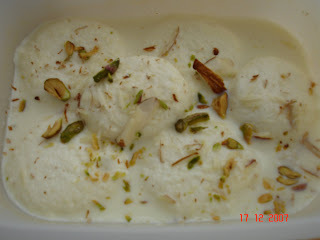 Infact I got new energy to cook newer recipes. His presentation is also pretty cool. He takes his time and explains each and every detail as to why we do this, what happens when we put this, and so on. So for beginners and newbies to Indian cooking, this is a great channel, and for already experienced ones, you should certainly visit this site if you are bored with your cooking or wanna try something new. On the whole a very informative and entertaining culinary site which can bring lotsa fun to your everyday cooking. 1. 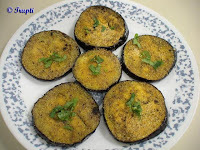 Wash eggplant and cut it into around 1/2 inch round slices. 2. Mix all dry ingredients very well. 3. Apply this mixture on the both sides of all eggplant slices. 4. Heat oil in frying pan. Place eggplant slices one by one in the pan. Make sure oil is coated on each slice. Cooke these slices on slow flame. Turn 2-3 times until they become littlebit brown. Follow this procedure for all slices. 5. 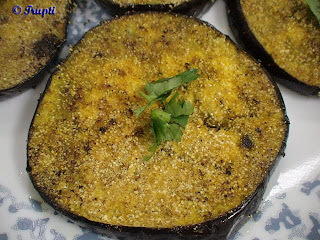 Sprinkle some coriander leaves on cooked slices and serve hot with rice and daal or you can eat this as appetizer. If you want you can bake these in oven or grill it.